From London Paddington, change at Swansea. 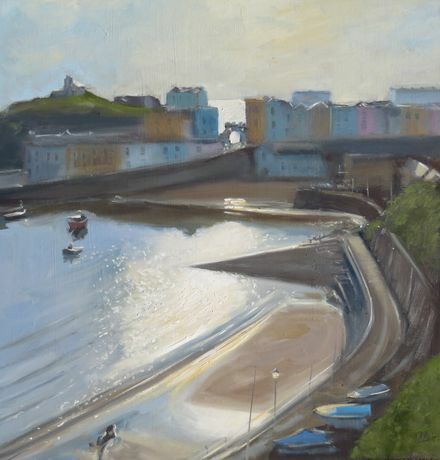 Tenby station is 5 mins walk from gallery. 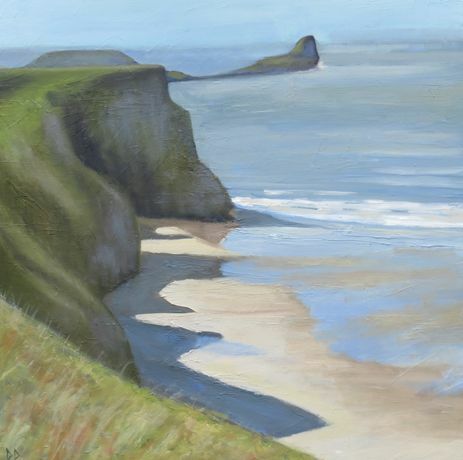 Returning to exhibit his work for the third time in Tenby is well established artist Dai David. More than 50 brilliant oil paintings depicting Tenby and West Wales in the very best of Summer weather will be on show during August at the White Lion Street Gallery. 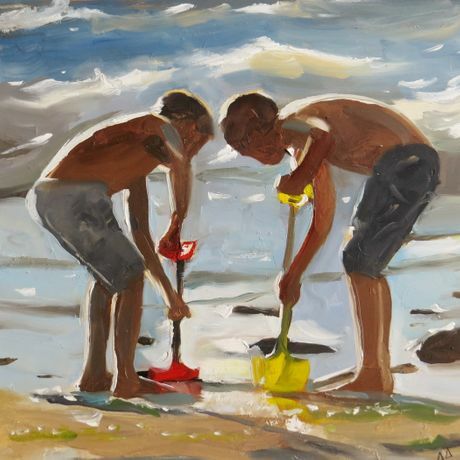 Summer time, bringing people to the beaches and the coastal towns, is a dominant theme of the exhibition but equally important is the subject of the light itself. The figures may be family groups in deckchairs, young men posing on the sands, small children playing in rock pools or swimmers braving high waves ... or dinghies sailing out in the bay, thoughtful paddlers and beaches empty at sunrise or sunset ... but the light is the real subject. 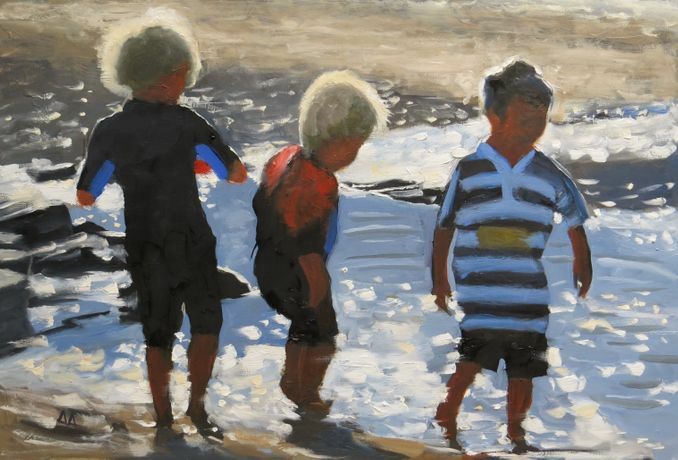 The artist catches the sparkle of light on water, the transparency of a wave, the effects of shadows, reflections and silhouettes. The viewer notes the sunshine through material, the highlighting of a feature of body or face and can identify the time of day. His style is of the Classical-Impressionist school of art, evoking the chosen moment as honestly as possible. His human subjects are oblivious to the viewer – diligently digging in the sand, idly chatting under sunshades or setting up camp. Their relationship with each other is made clear by gesture and proximity. Born in South Wales, Dai has frequently chosen Tenby, Gower, and Newquay as the actual backdrops but many of the scenes are of any beach in the best of the sunny Welsh summer. Since he became an artist full-time Dai David has exhibited throughout the UK in galleries and in prestigious art fairs, commanding a loyal and appreciative following of his observant, skilful work.